It was a very good day. Day 16, rested and ready. 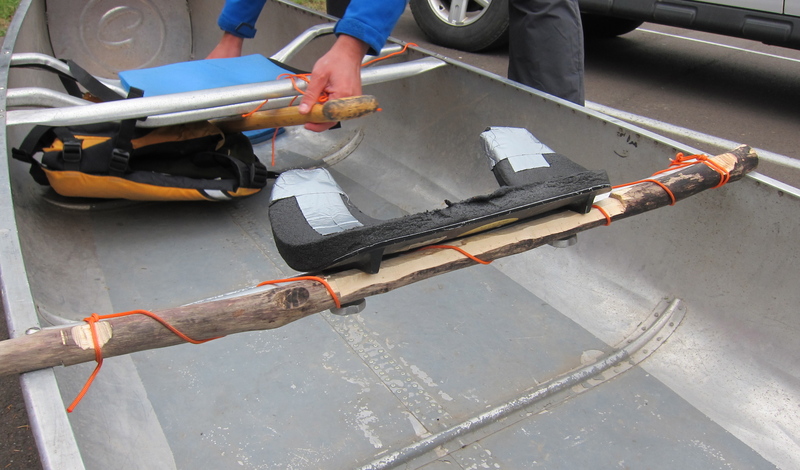 We were a paddling portaging machine! 8:30am to 6pm, 23.75 miles. It started with a family of swans and included a stop for Amazing Woodsman Willy. After one too many times stepping on the carry thwart of Will’s grandfather’s canoe, it cracked. With Grand Portage looming ahead it had to be repaired. In just 30 min Will found the driftwood, sawed, hatched, carved, and attached a brace for the thwart. Very impressive. The workmanship that got us through. The land was changing, becoming more dynamic. Our portages were getting less frequent but longer. Our final destination of 8 miles of Grand Portage was looming towards us. Conditions were perfect. A light wind at our backs gently pushed us along. We raced the sunset on Mountain Lake. 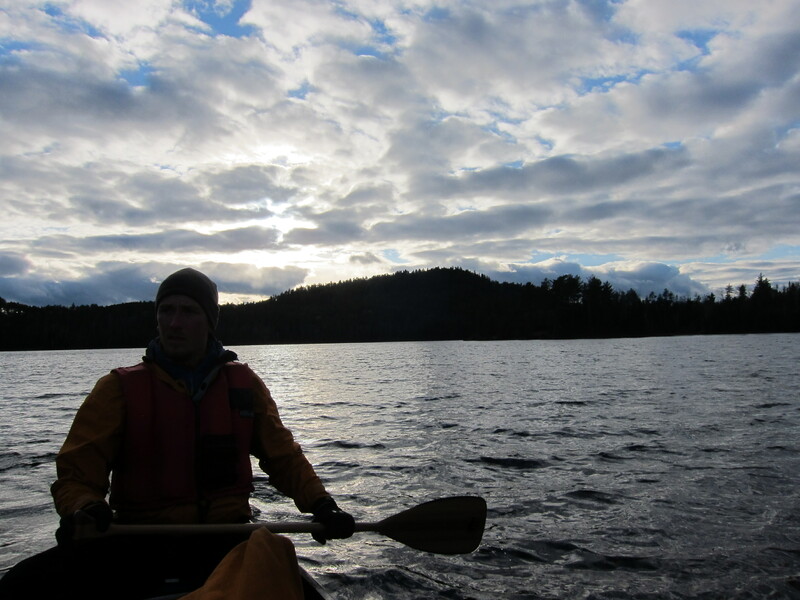 Passing many beautiful campsites, we paddled as long as daylight would let us. Our site ended up to be a somewhat regrettable shrubby point. We were stuck there the next day. Windbound again. This is where I had started the story. Lying awake, listening to the 25 mph wind. Supremely cranky for delaying the end of the hardest honeymoon ever. I spent the day staying warm by rotting in my own sleeping bag. I’m sure it was the worst I had ever smelled. Delightfully Will was completely unfazed by my stinky body or mood. He buoyed my spirits. The next day would be my turn to save us from despair. 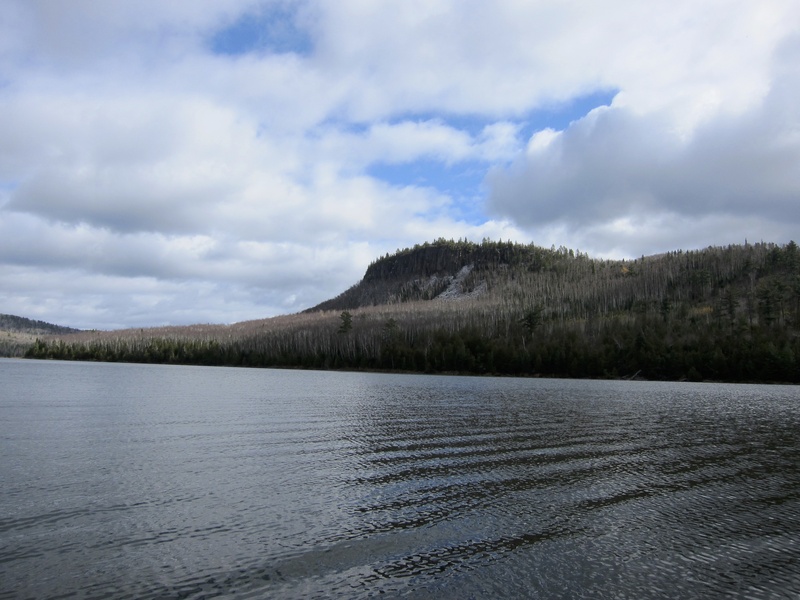 Previous: Rain Tears and Tea on the Gunflint. 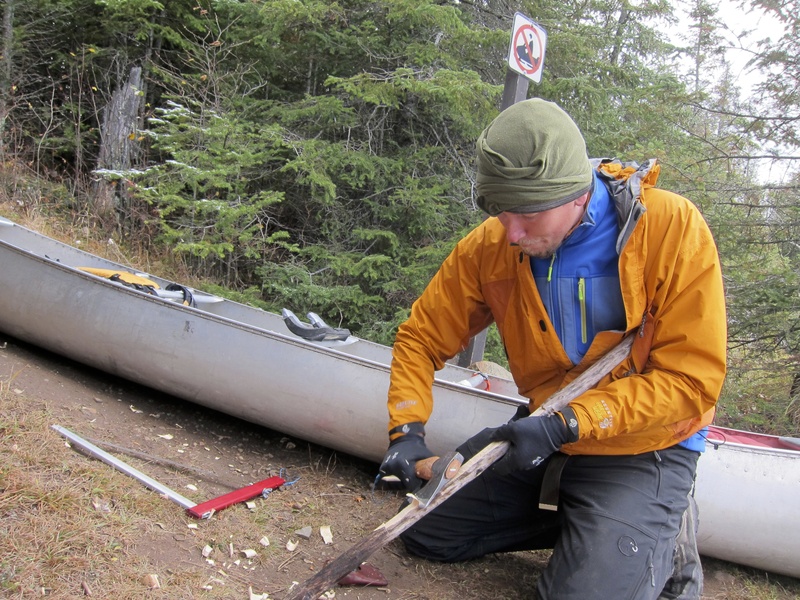 This entry was posted in Adventures and tagged BWCA, camping, canoeing, grand portage, honeymoon, outdoors, paddling. Bookmark the permalink.